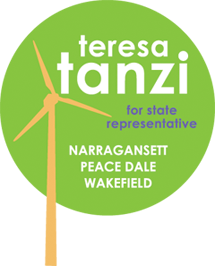 Representative Teresa Tanzi brokered a solution to resolve an impasse leading to the enactment of legislation which strengthens the law regarding time off for good behavior in prison. The bill had been held up over questions of constitutionality and costs surrounding the original proposal by the Attorney General. The bill was introduced in response to the scheduled release last year of Michael Woodmansee, convicted of killing 5-year-old Jason Foreman in 1975 in South Kingstown. Woodmansee, who later agreed to remain in state custody through voluntary institutional commitment, was allowed to earn 12 years off the 40 years he was supposed to serve through “good time” and participation in a prison job. The new law bans those convicted of murder, attempted murder, first-degree sexual assault, first- and second-degree child molestation and kidnapping of a minor from earning time off their sentences solely for behaving in prison. 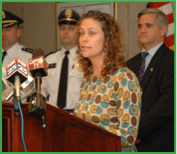 “It makes sense to use reasonable sentence reductions to entice prisoners to participate in correctional programs that directly correspond to becoming a useful citizen upon release,” said Tanzi. “What is not reasonable was when a prisoner serving time for a heinous crime did nothing to rehabilitate himself or herself, and yet was disproportionately rewarded for ‘good behavior’ with a significant sentence reduction.” The bill is now named, “Jason’s Law” in memory of the victim, Jason Foreman, and the tireless efforts of his family to make the necessary reforms become law.